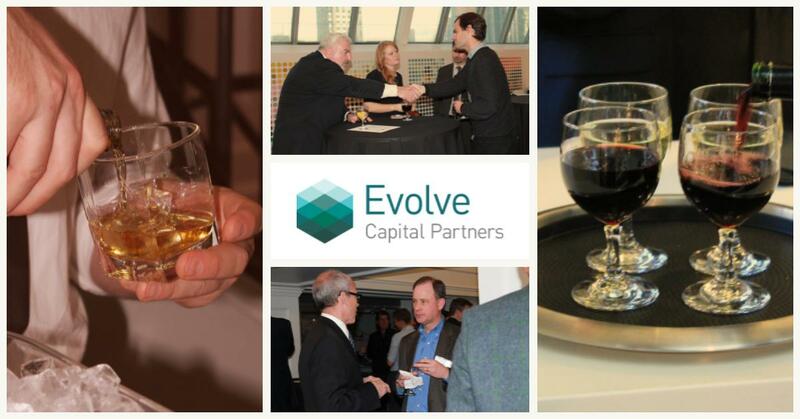 Evolve Capital Partners recently hosted a lively evening of conversation and networking where attendees enjoyed a choice of fine whiskeys, waters and wines along with delicious food. Over 50 companies across the wealth and insurance sectors, many with an aptitude in technology, joined attendees from the broader FinTech sector. Large strategics from Legg Mason to Guardian, along with prominent investors including FTV Capital and Barclays, were invited to connect with companies in their areas of interest. Cocktails and conversations flowed freely during the three-hour event as our team made valuable introductions. The event was very well received. The following week, we heard from many of the attendees that they had set up meetings or scheduled follow-up conversations with the guests they were introduced to that night. As a leading boutique investment bank focused on transactions at the intersection of finance and technology, we’re pleased to host these events and are actively planning a breakfast event for Q3. If you have questions or are interested in attending Evolve Capital Partners’ exclusive events, please contact us at info@evolve-capital.com.